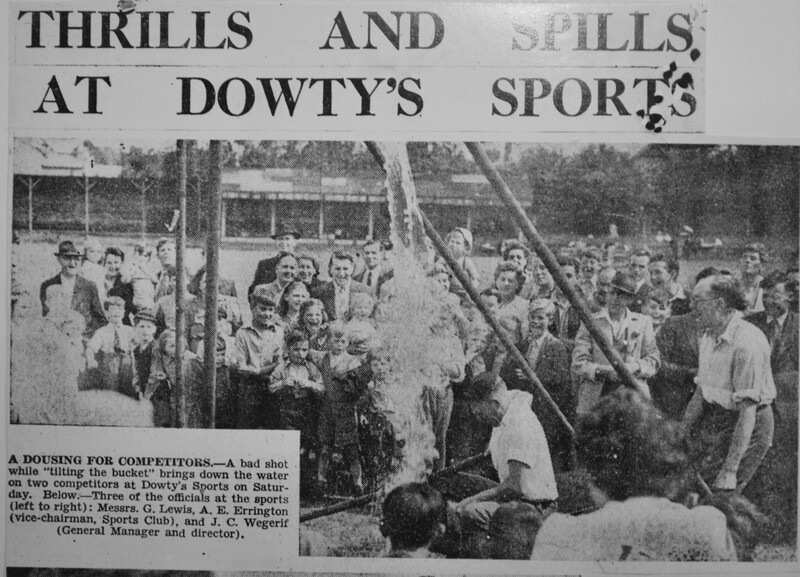 Dowty had excellent sporting facilities at each of its sites and its employees participated actively. 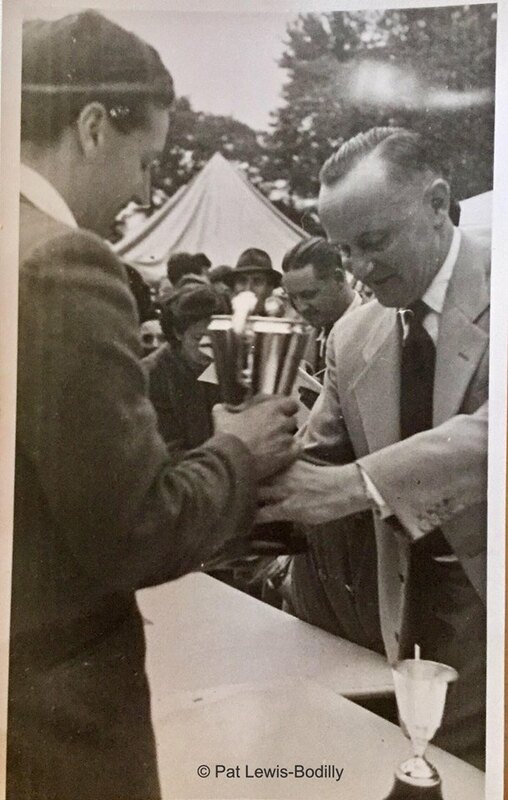 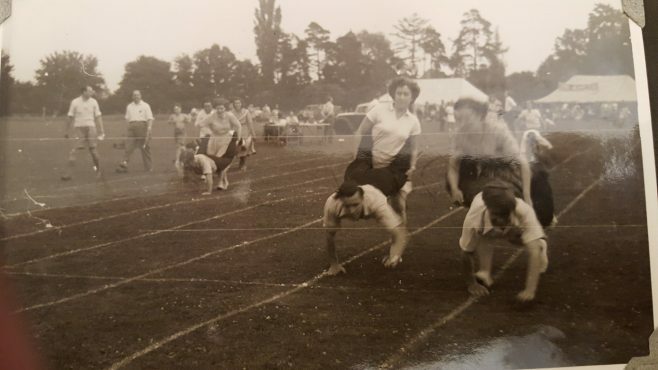 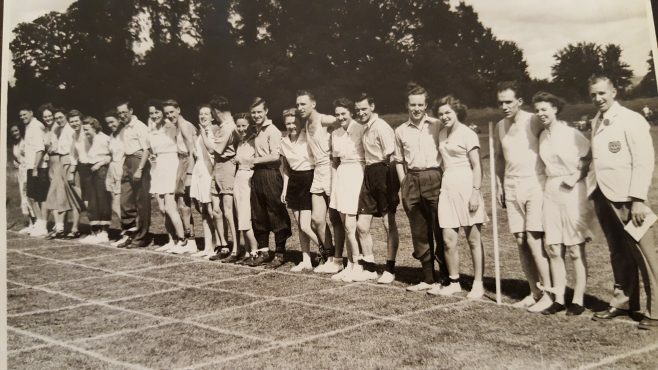 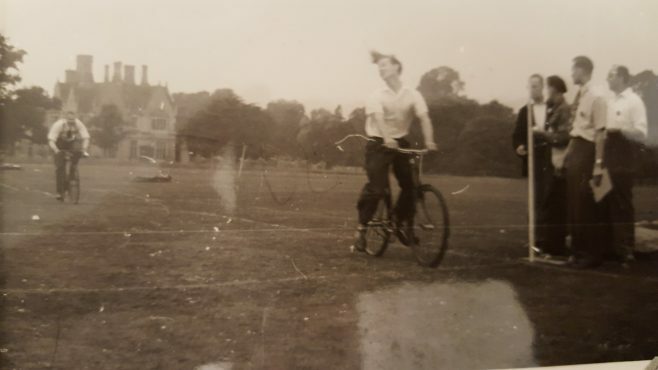 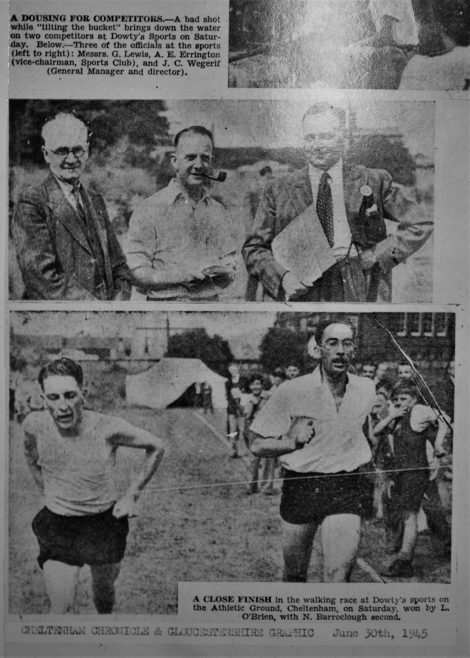 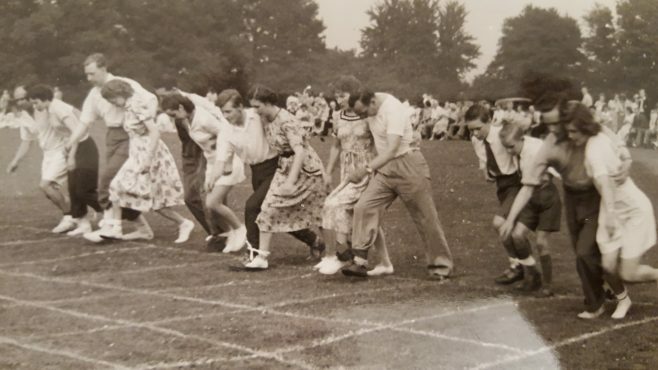 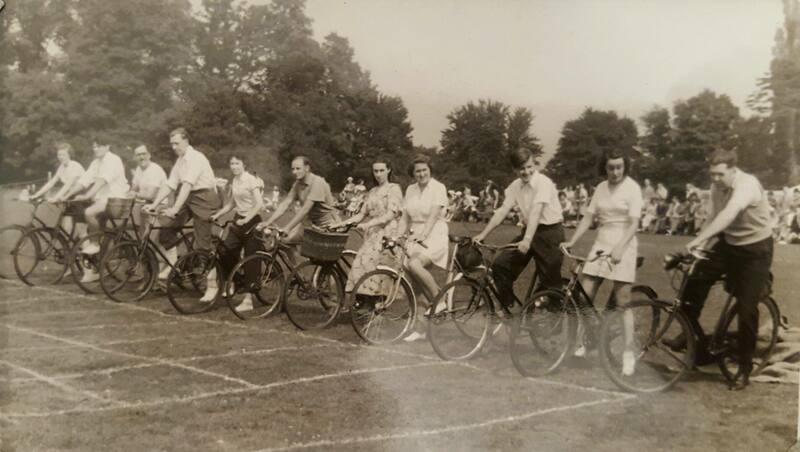 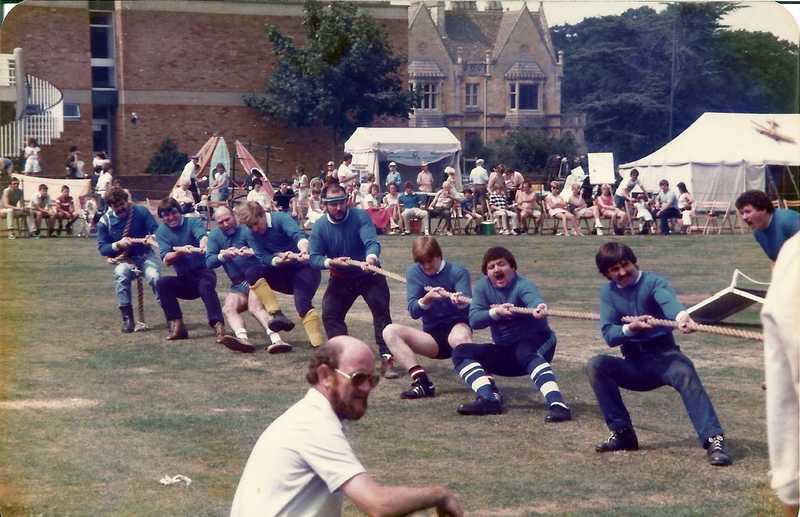 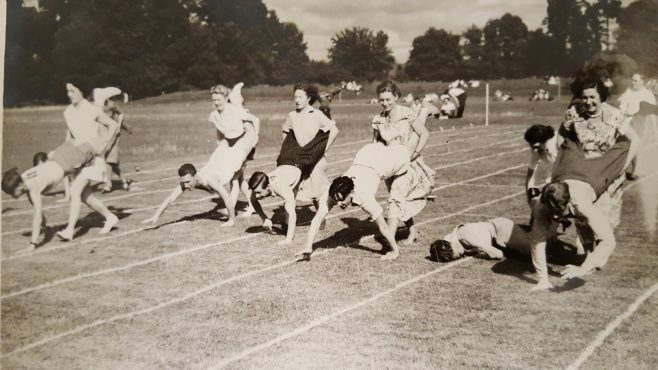 There were many competitive sports events held, either inter-departmental or inter-site activities; family sports days were also popular. Dowty Rotol open day and “it’s a knockout” 1981. 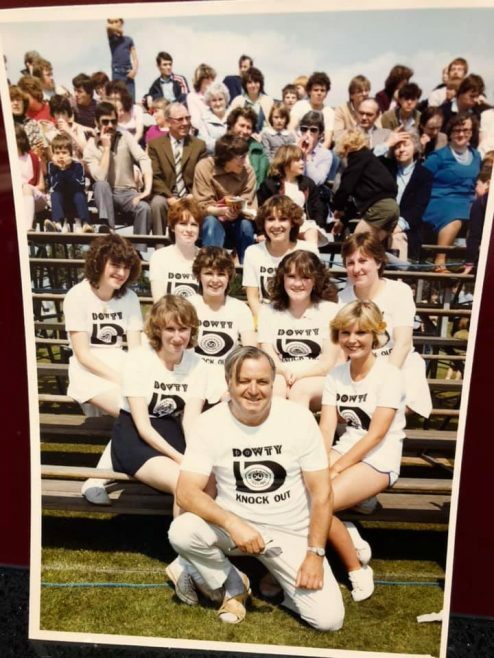 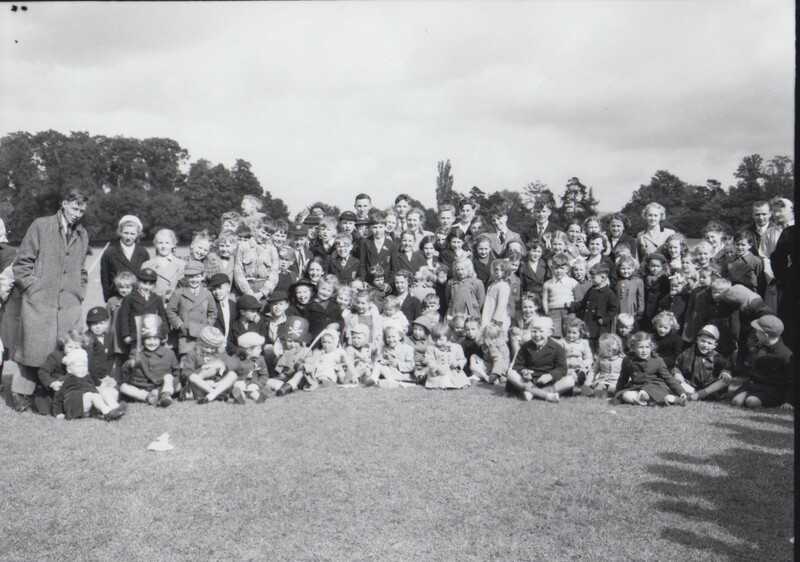 Doug Glazier with - Front left is Teresa Allen; 2nd left in the 2nd row Ruth Merchant who was tragically killed in a motorbike accident while on holiday in Newquay. Karen Babbage - Dowty Rotol open day and “it’s a knockout” 1981.